the creation of a Russo-Syrian military Commission. The Patriot missiles had been installed by NATO in Turkey as from January 2013, in order to prevent the Syrian Air Force from deploying on the frontier. As a result, the jihadists of the al-Nusra Front (al-Qaïda) were able to seize the North of the country, and as from the summer of 2014, this no-fly zone was occupied by the Islamic Emirate. Thus, during the battle of Kobane, the Syrian Air Force were unable to bomb the Islamic Emirate, and Syria was obliged to attempt a land attack to save the city. Since it was unable to advance the last thirty kilometres, the Atlantist Press presented the Kurdish forces of the YPG as being independent of Damascus, although the Syrian Arab Republic had supplied it with weapons and was paying its soldiers. The Patriot missiles, initially deployed by Germany and Holland, are today German and Spanish. They will first of all be revised and modernised, then redeployed in Lithuania, at the Russian frontier. Although Russia had abstained from participating in military operations since the beginning of the conflict, it has now created a Russo-Syrian Military Commission. And yet, NATO had organised all the events concerned in what was called the « Arab spring », including the war against Syria, and coordinated foreign jihadist groups and their Libyan and Syrian collaborators, called « rebels », from the Turkish base in Izmir , now also the location of LancCom (command of the land troops of the 28 member states of the Atlantic Alliance). Within a few weeks, many military advisors arrived in Damascus. Six Mikoyan-Gourevitch MiG-31’s were delivered. These planes are the best interceptors in the world. They had been bought in 2007, but the contract had been frozen. Their delivery is not affected by the arms embargo, since they can not be used in operations concerning the maintenance of law and order, but only for national defence, in this case, possible incursions by Israël or Turkey. Under various pretexts, these two states acted many time during the war to support the jihadists whenever they were in difficulty. So, on the 30th January 2013, Tsahal bombed the Centre for Military Research in Jemraya, under the pretext of destroying weapons that were destined for Hezbollah. In fact, the attack was intended to destroy a communications brief-case captured by the Syrian Arab Army, containing NATO satellite data, before they were able to decipher it . The operation had been commanded by the Israeli Air Force in coordination with the Free Syrian Army, which in turn was directed by officers of the French Foreign Legion under the supervision of NATO’s LandCom. Simultaneously, and for the first time, the Russian army has just supplied satellite images to Syria. This decision, awaited for five years, inverses the military situation. Indeed, so far the jihadists have often escaped the Syrian Arab Army thanks to satellite images supplied by NATO in real time. Even though, over a six-month period, it would seem that NATO no longer shares its intelligence with the Islamic Emirate, but only with the al-Nusra Front (al-Qaïda). Finally, the Russian military advisors possess a wealth of information which they use in order to study the possibility of an international deployment under banner of the UNO. They have to present a report to the Kremlin which would also study the possibility of a Russian operation as well as a joint operation by the Collective Security Treaty Organization (CSTO). The CSTO will be meeting in Douchanbe, Tadjikistan, on the 15th September. A deployment by the CSTO had aleady been envisaged, in June 2012, during the preparation for the « Geneva Conference 1 » . Indeed, this military alliance includes three states with a Muslim population – Kazakhstan, Kirghizistan, and Tadjikistan, who are better prepared than Russia to fight terrorists who claim to be Islamist. However, at the time, the CSTO had no agreement with the UNO to carry out peace operations. This situation was resolved on the 28th September 2012 – it could also be applied as well in Afghanistan as in Syria . 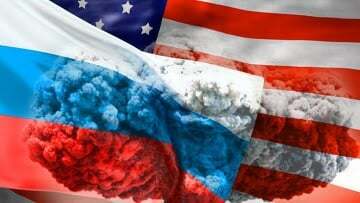 In any event, the cooperation between the Kremlin and the White House has its limits – Russia wants to eradicate the jihadists before they turn against her, while the United States hope that some of them could be re-activated in other conflicts, as was earlier the case in Afghanistan, Bosnia-Herzegovina, Chechnya and Kosovo. Already, certain elements of Daesh have arrived in Kherson (Ukraine), where a so-called « Crimean Government in Exile » already exists. It is apparent that from the US side, the withdrawal of the Patriot missiles is a trap. Washington would be happy for Russia to reduce the number of active jihadists, but at the same time, it would not be dismayed if it were to get bogged down in Syria. That is why the Russian bear is advancing prudently. Thierry Meyssan is founder and chairman of Voltaire Network and the Axis for Peace Conference. His columns specializing in international relations feature in daily newspapers and weekly magazines in Arabic, Spanish and Russian. His last two books published in English : 9/11 the Big Lie and Pentagate.